which inspired and informed his own Imperialism the Highest Stage of Capitalism. He wrote the introduction and these two works, 1915 and 1916, were what inspired Lenin’s April Theses. Without the April Theses and its acceptance by the majority of the ranks and middle layers of the party there would have been no second Russian Revolution. Crucially when Lenin arrived in Petrograd in April the majority of the party leadership, led by the editors of Pravda, Stalin and Kamanev, were supporting the Provisional Government with little criticism. Stalin has ousted Shliapnakov who was for deepening the revolution. Lenin, aided by Trotsky, went to war on this orientation with the slogan “all power to the Soviets” i.e. for a second revolution. Stalin deferred to Lenin and said nothing of political substance again until 1922 and Lenin’s first stroke. He was, as always, a centrist. The right of the party then was led by Kamanev and he was later joined Zeniovev who opposed and publicly denounced the plans for the insurrection that culminated in the storming of the Winter Palace, on Trotsky’s orders as Lenin was in hiding as Tsarist assassins were out to kill him. It the election for the Central Committee that led the revolution Stalin squeezed in last, in 15th place, such was the political disgrace he was in following the Pravda debacle. Bukharin opposed the Brest Litovsk treaty from an ultra left position, Trotsky was for prolonging negotiations in the hope the German revolution would come in time, Lenin was proved right and all agreed to the necessary compromises in the end. But Bukharin swung from ultra left to right on Lenin’s final illness, because “he did not understand the dialectic” according to Trotsky, he first championed the anti Marxist theory of socialism in a single country which Stalin adopted in late 1924 after Lenin’s death. The Troika of Stalin, Kamanev and Zeniovev, tgen8 compromising the centre, began to attack Trotsky and his theory of Permanent Revolution, in reality repudiating the April Theses and reverting to their vacilliating position of compromising with Menchivism they held before October 1917, as Trotsky pointed out in his Lessons of October. Bukharin and his supporters were now the right, encouraging the rich peasants, to “enrich yourselves”. But Stalin remained a centrist in deference to Lenin until his first stroke in July 1922. After that he grew ever more confident against him as Lenin’s powers waned and the revolution ebbed. But Lenin partially recovered and went to battle in alliance with Trotsky on the vital question of the monopoly of foreign trade. Bukharin and Kamanev were for its abandonment and Stalin cautiously supported them. Trotsky won the argument with Lenin’s support and it remained a central plank of all workers’ states, degenerated of deformed, until the fall of the Berlin Wall and subsequent restoration of capitalism in the USSR and China in 1989-92. Stalin was furious and tried to prevent Lenin’s access to Trotsky, growing ever more confident as he gained control of more and more of the party appatatus and the masses fell back, disappointed at the failure of the revolution to deliver by spreading to Germany and Italy. This was the circumstances behind Stalin’s very rude telephone call to Kruptskya, Lenin’s wife in December 1922. She told Lenin part of the story and he added the piece to his Testimony calling for Stalin’s removal as General Secretary because of his rudeness. Then Lenin’s Last Struggle was in full train as he expended all his remaining energy in defending the national rights of Georgia against Stalin. That was when he accused Stalin of Great Russian chauvinism and assigned to him the central blame for the debacle. “How can we champion the rights of oppressed nations against imperialism if we deny it ourselves” he wrote (quote from memory). Kruptskya had not told Lenin the full truth about what Stalin had said to her in December 1922 because she understood its awful implications and wished to protect her dying husband from the full shock. But she did tell Kamanev and Zeniovev and it became common knowledge among the party leaders. Rumours had it, true or false, that Lenin had contacted syphilis from an encounter with a prostitute in Paris in 1905 and his childlessness and final illness was partially due to that. And such was Stalin’s contempt for Lenin and his confidence in his own power base that he had called Kruptskya a “syphilitic whore”. Eventually it seems, and this is surmise, Kruptskya did tell Lenin in early March 1923, just before his penultimate and absolutely debilitating stroke. It was this which drove him to the reported attempt to destroy Stalin at all costs and this effort which caused that stroke. On the quote by Stalin on Bukharin in 1938 I have been unable to get a sourse (the majority of the rest are from Lenin’s Collected Works on his last struggle and Lenin’s Last Struggle by Moshe Lewin) but the archive material reveals two things. One that by that stage Bukharin was already a political corpse before his execution, pathetically denouncing all his comrades who led the Revolution with him as traitors in the pay of Hitler and the West in an attempt to save his own life. 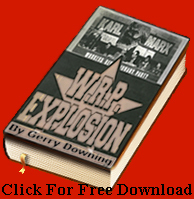 But his place in history is assured by the 1915 work on Imperialism which inspired Lenin’s own work and thus ideologically prepared the April Theses, the indispensable political document dedicated to world revolution, without which perspective the Russian Revolution would not have been possible. In reassessing his own role in that revolution Trotsky said that without him the Russian Revolution would still have conquered. If Lenin had been assassinated it would have failed. Certainly we can assert without doubt that Stalin could not have led it to victory such was his false perspective at the time. I don’t see how either Bukharin’s or Lenin’s work on imperialism inspired the April Theses, since Lenin continued to espouse the theory of the democratic dictatorship of proletariat and peasantry until April. I also am dissatisfied with the explanation that Lenin began his most earnest struggle against Stalin because of a personal insult to his wife.